We were approached by Insync to bring to life a crazy fictional hotel for a well known non-fictional hotel company for their summer party. The theming of the night was a 1920’s Budapest Hotel-esque world, with rooms themed accordingly. 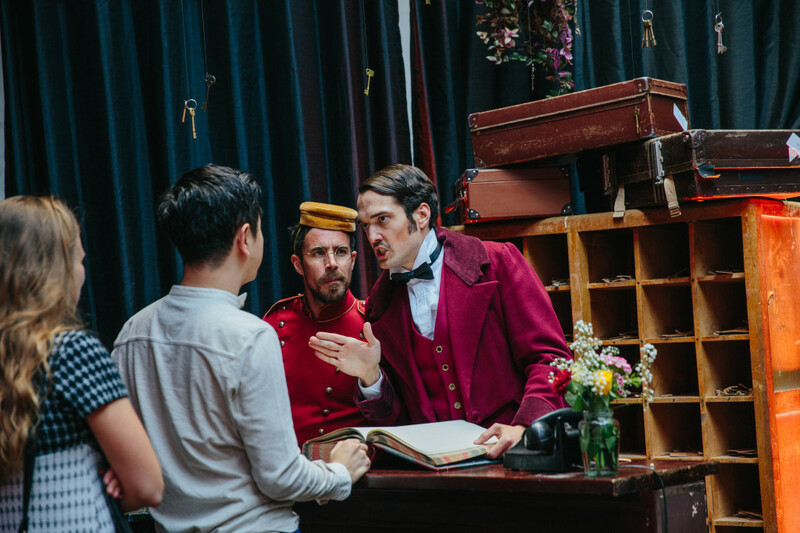 We created four brilliantly peculiar characters – a narcissistic, overconfident yet rather incompetent General Manager, a Bellboy who was on the button, an American eccentric dowager who has lived in the hotel for the past 25 years, and an entrepreneurial English gent with plenty of fine banter. Together they weaved a wonderful world of confusion and chaos, starting with ‘checking in’ each guest and giving them a key, and then setting up the story with just the right amount of conversation and play. 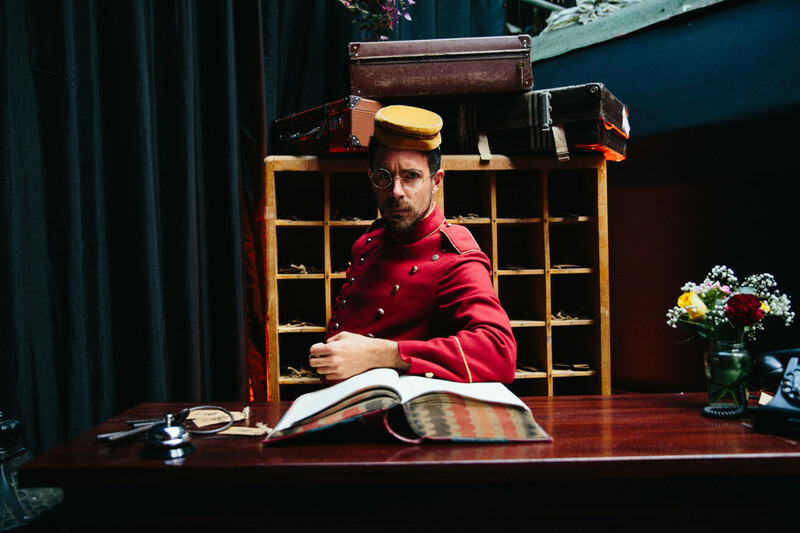 As the night went on and tales unfolded, the Bell Boy took small groups to the ‘staff quarters’ for a unique dining experience – an experience which soon became the hot ticket of the night, with other partygoers desperately trying to find out how to experience it (they all did!). A hotel so utterly bonkers that it would surely get shut down by inspectors, but was thoroughly enjoyed by all who were lucky enough to have booked in that night.